Undergoing a creative rebrand and forgoing her usual stage name, “S,” Jenn Champion returns with a new record and a new sound that attempts to make her audience dance, or cry, or ideally both at once. On Single Rider, Champion wields her own strain of synth-pop to craft thirteen tracks, eleven originals and two remixes, showcasing her reinvention from the confessional indie rock she made as S. Here, Champion offers uprising synths and anthemic pop lyrics that are destined to become dance floor sing-alongs at her live shows. 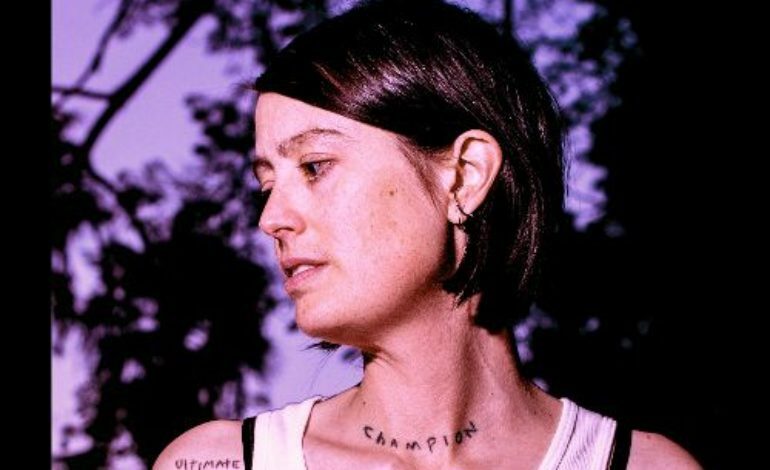 Unfortunately, in trading in her personal, intimate indie sound for crowd-worthy synth, Champion has failed to translate the confessional aspect of her music. Sprinkled throughout Single Rider, Champion hints at the social pressures and outside anxieties that fuel a depressive isolation, as well as a sense of hope and perseverance in response as seen on tracks like “Holding On” and “Never Giving In,” as those song titles demonstrate, but those moments are stuck as just that, hints. Champion mainly plays it safe with pop lyricism that any listener could identify with, which benefits the stray listeners tuning into the words amidst a dancing crowd, but not so much those listening to the record at home. There are a number of winning hooks and catchy “oohs” and “aahs” on Single Rider, but from an artist with so much emotion bubbling from under the surface, it’s a shame that Champion leaves it there. As for the actual dancefloor vibe, Champion and her new collaborator, producer SYML, have crafted some fantastic synth grooves, with singles such as “O.M.G. (I’m All Over It)” and “Time to Regulate” in particular are great to get people moving. “Mainline” is another dancey standout, along with the most interesting synth sound on the record, with some electric “wub wub” effects that just feel wet. The last five tracks, however, mark a major left turn for the record even as they take Champion back to her more traditional, S-sounding days. Tracks like “Bleed” and “Hustle” bring in a minimalist piano that attempts the kind of intimacy that is familiar to Champion’s older work, but still Champion veers towards pop sing-along rather than a kind of lyrical depth that would’ve been perfect for this section of the record. “Going Nowhere,” the last album-original track, bridges the gap between piano and synth but doesn’t manage to bring out the strengths in either sound. The album technically closes on “No One – Piano Version,” and “Time to Regulate – Gold Brother Remix,” which by no means are bad remixes, but their inclusion is curious. “No One” was already the subject of a remix EP that offered six distinct renditions of the track that are each dancier and more interesting, even as the piano version offers the most successful moment of intimacy on the record. The Gold Brother Remix is another fine addition, but it sacrifices the track’s successful danciness in favor of, again, a more intimate listening experience, but by this point, the moment has passed and the track just feels extraneous. Single Rider is, overall, a successful transition for Champion into the realm of synth pop but it reeks of the singer-songwriter trying to have it both ways— to make her audience both dance and cry, when she is largely better at focusing on one over the other.